To the casual observer, the fomalising of a relationship between police forces, Police and Crime Commissioners and academics might seem to be of little significance. But to those who have been championing the ‘evidence-based policing’ cause for a long time now, the achievement alone of getting those three groups to sit round a table and agree to work together towards a unified goal marks a significant milestone in changing the way policing is approached both organisationally and at street-level. I should firstly make clear that EMPAC is not a rival organisation of the College of Policing. In fact, EMPAC would not be possible without the support and funding from the College of Policing, who work with police forces and academic institutions throughout the country to advance the case for ‘evidence-based policing’. But the reason why there was a need for EMPAC was the disconnect between research that provides evidence for changes and the decision-makers within police forces who could use that research on which to base their decisions. For the police, this case can be made from a financial viewpoint, from an organisational viewpoint, and from an operational perspective. Also we cannot underestimate the challenge that is facing policing through the changing nature of our communities, the changing nature and globalisation of crime and criminality and the increasing complexity of the operational environment. But the ultimate impact must be focused on the public, who are placed at risk if their police service is not as effective and efficient as possible. Academics, on the other hand, study the policing world in detail, but encounter a series of challenges. This can range from struggling to gain access to the staff and resources they are attempting to research, to difficulties in presenting potentially critical findings in a way that is acceptable to police forces and professionals. By being able to work more closely with police forces, academics can overcome some of these barriers by making the work mutually beneficial. Furthermore, the recent international trend representing a shift away from purely theoretical research towards a more outcome-focused approach in academia supports the argument that universities should be proactively seeking out this type of collaboration. Through this relationship it will be much more likely that their academic outputs will have a social impact. The agreed goal of EMPAC is to inform changes in professional policing policy and practice through the creation and application of a research-driven evidence base. This requires the buy-in of practitioners and commissioners of services, as well as academics to deliver real evidence-based policing practice. With the extra scrutiny now placed on police due to the creation of the role of Police and Crime Commissioner in 2012, there is an added emphasis on ensuring that the decisions made in the commissioning of services are the right ones. A collaboration such as EMPAC can provide elected PCCs with the peace-of-mind that their decisions are based on evidence and are justifiable to voters, somewhat displacing the potential ideological debate that comes with party politics and public services. In addition as EMPAC develops its research base it will be seen as a place where both Chief Officers and PCC’s can go to obtain and understand the evidence that supports their decisions about how best to deliver services to achieve their Police and Crime Plans. 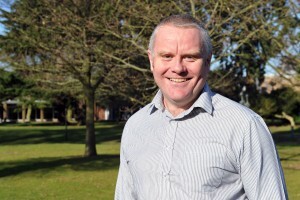 The creation of EMPAC makes a ‘win-win-win’ scenario possible: a win for academics, who benefit from improved access to the organisations they want to study and an improved insight into the ‘what works’ of day-to-day policing that can be reflected in their findings; a win for police and PCCs, who can engage with researchers and improve their own research skills whilst benefitting from an increased evidence-base to inform decisions; and a win for the public, who will see changes to police forces that reduce crime and provide safer communities. Police and academia have their own unique cultures and their own unique ways of operating, I have the aspiration that EMPAC becomes the vehicle for bringing all of the good in both sets of cultures together to create a new way of thinking about outcome-focused, practically driven, operationally achievable research.